Since the first TV commercial aired on NBC in 1941, measuring the success of TV advertising has been a major hurdle for marketers. According to PwC, marketers spent a hefty $71B on TV advertising in 2015. However, TV’s total share of media spend has been declining, with the number one reason being “targeting and measurement capabilities that don’t give senior marketers what they need,” according to a poll by eMarketer. Now, as the market shifts toward advanced segmentation and attribution capabilities, new doors have been opened for marketers. With addressable TV and location-based measurement entering the ring, these pain points for marketers will soon be a thing of the past. Addressable TV is a relatively new concept in the industry, and primarily refers to the ability to target specific TV commercials at the household level. 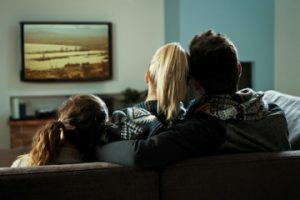 This level of granularity for delivering commercials to audiences is a rapidly growing slice of the TV advertising pie, especially for data-driven marketers with clearly defined audiences. For the first time, marketers can now measure the impact of addressable TV campaigns through location data from anonymized mobile signals. From this latitudinal/longitudinal location data, PlaceIQ can draw intelligent conclusions about how consumers react to addressable TV campaigns. With TV viewership data added into the mix, it’s finally possible to achieve closed-loop addressable TV campaigns, and understand how a TV ad impacts real-world visits to a store. Campaign success is measured through PlaceIQ’s Place Visit Rate (PVR), a first-of-its kind metric that measures actual foot traffic driven to physical locations by advertising campaigns. Beyond strong campaign results, this collaboration produced valuable audience analytics, capable of informing future addressable TV campaigns, and even changing entire marketing strategies. Want to know more? Reach out!